He makes an excellent point. 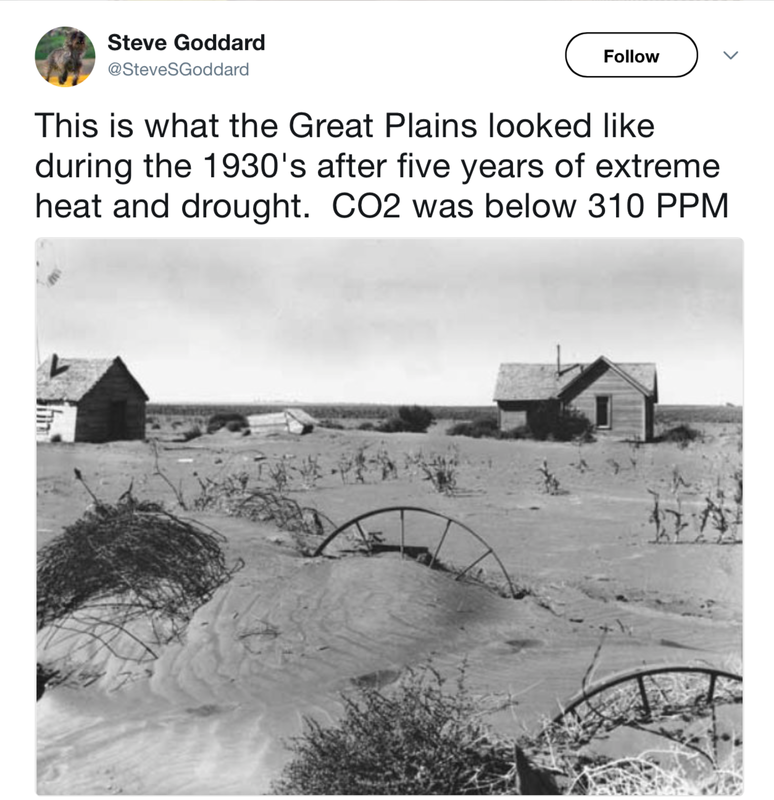 Do you have any doubt if the Dust Bowl occurred today that it would be blamed on global warming! ?